John Browning applied for this patent on August 2, 1881. He was granted US Patent 247881 on October 4, 1881. 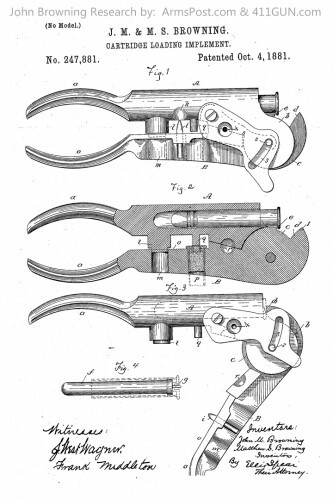 This patent design was for a Cartridge Loading Implement and was his second patent.